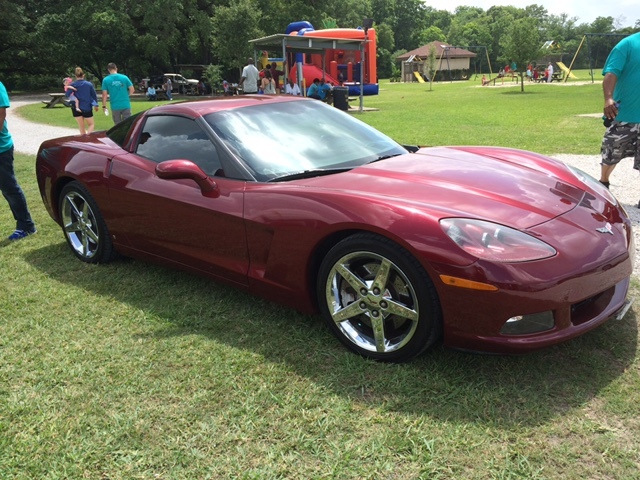 On June 9, 2015, we reported that James Rogers of Port Arthur, Texas and his beloved dog, passed away while locked inside his 2007 Corvette. A battery cable was found to be loose on his 2007 Corvette and as a result, the electronic door release button wouldn’t work to open the doors. As a result, Rogers and his dog passed away from heat stroke while being trapped in the car outside of a Waffle House. According to KFDM of Southeast Texas this morning, Attorney B. Terrell and other attorneys filed a wrongful death and survival lawsuit last month against General Motors Corporation on behalf of Tricia Hernandez and Troy Rogers, the children of James Rogers. The lawsuit states there’s a defect in the electric locking system, and if the battery dies, then drivers must use a switch under the driver’s seat to get out of the car. It goes on to state that G.M. builds the Corvette in a defective manner and failed to properly make clear there is a manual override to get out if the battery dies. The suit is seeking damages for pain and suffering and other compensation. General Motors has been building Corvette with electronic door locks since 2005. The door locks are not defective and there is a door release latch on the floor, next to the frame rail, in front of the seat on each side of the car. The door release levers are not located under the seats – even if the seats are moved all the way forward. If power to the vehicle or the keyless access transmitter is lost, there are two ways to open the door. From inside the vehicle, use the door release handle located on the floor next to each seat. Pull the handle up to unlock and unlatch the door. While Mr. Roger’s death was an unfortunate accident, General Motors should not be held liable for his death. Every new automobile comes with an owner’s manual. It’s the owner’s responsibility to read that manual. If you buy a used automobile that doesn’t come with an owner’s manual, you can easily purchase one online. Considering that the Corvette has always been one of the most technologically advanced automobiles on the road, you really should not own one without an owner’s manual. It should also be the responsibility of automobile sales personnel to show the customer all of the safety features of the car that is being purchased. Door release lever on the driver’s side of a 2008 Corvette. Door release lever on the passenger side of a 2008 Corvette. Page 2-11 of the 2008 Corvette Owner’s Manual showing the door release lever.